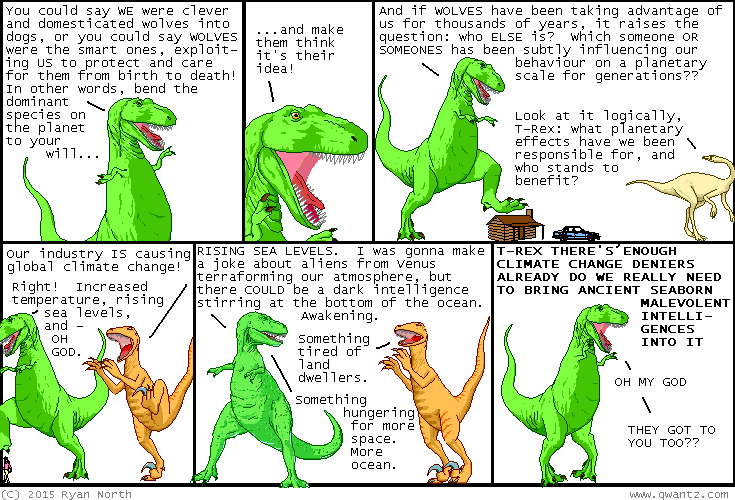 Dinosaur Comics - January 7th, 2015 - awesome fun times! –And I choose... "The Singularity"!! January 7th, 2015: Unbeatable Squirrel Girl #1 comes out TODAY! AHHHHHH let's all buy it okay!! Yeah, let's do that thing I just said!